Open this file and copy-paste its contents into a file named fail.php in the same folder as your index.php. Do not alter this file - do not fix the mistake in the code in this file. The goal is to trigger an error to verify that we see errors in the browser. Open this file and copy-paste in the contents into a file named check.php in the same folder as your index.php. You can check the htdocs (a.k.a. DOCUMENT_ROOT) value for your server by scrolling down in your PHPInfo output. 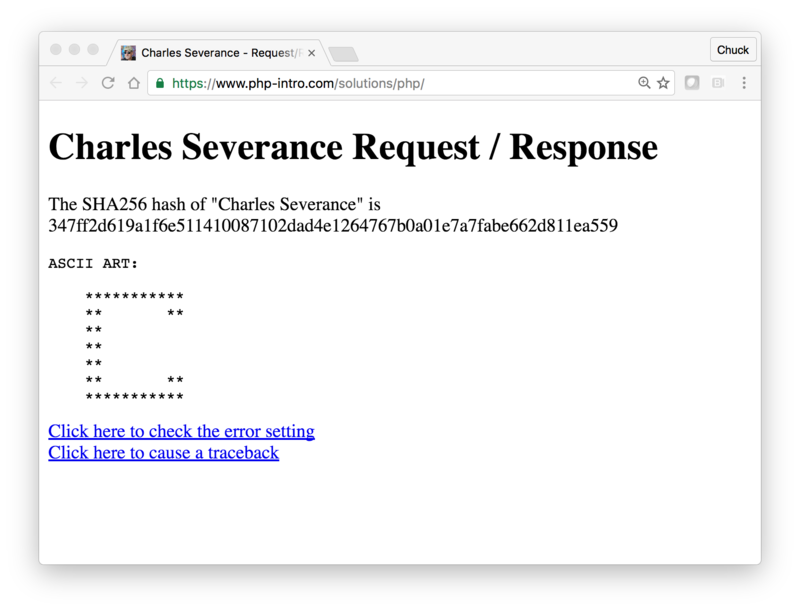 You may have changed a setting in your PHP server to move the DOCUMENT_ROOT to another location and that is OK as well. If you turn in screen shots with file:// in the URL you will get zero points for the assignment. Chapters 23, 24, 25, and 26 from the free textbook The Missing Link: An Introduction to Web Development and Programming written by Michael Menendez and published by Open SUNY Textbooks. Image of your application showing the URL bar and the rest of the output. Please do your reviews of the other students submissions carefully. The actual points you award are less important than useful comments about what might be wrong and need fixing. You cannot re-submit your assignment unless the instructor allows you to resubmit. The total number of points for this assignment is 10. You will get up to 5 points from your instructor. You will get up to 3 points from your peers. You will get 1 for each peer assignment you assess. You need to grade a minimum of 2 peer assignments. You can grade up to 5 peer assignments if you like.